The fashion line offers elegant evening wear and casual womenswear without the designer price tag. The story of how Mestiza New York came to be is like a plot for a television series. Two friends in New York City, Alessandra Perez-Rubio and Louisa Rechter, were commiserating about all the black-tie weddings they had to attend with nothing decent to wear. "I recognized in her an equal obsession for expensive dresses and equal frustration in not wanting to spend thousands of our hard-earned dollars," Alessandra says. Soon enough, the graphic designer (Alessandra) and the ready-to-wear merchant (Louisa), were boldly solving their fashion woes by starting their own line of elegant but affordable formalwear. 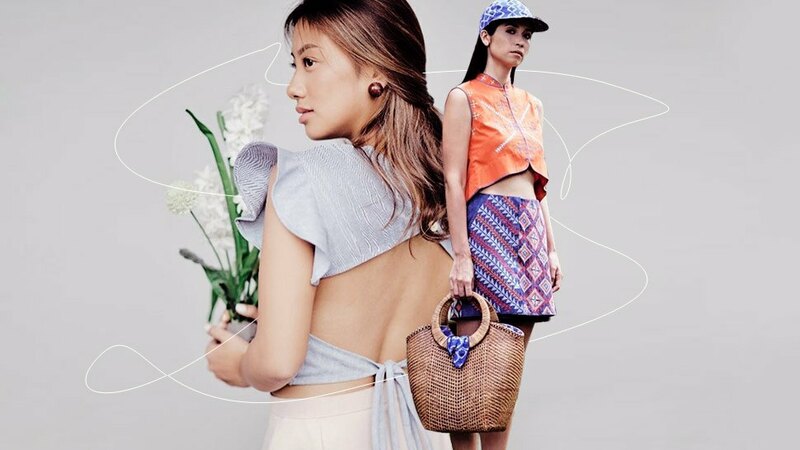 In 2015, the pair established Mestiza New York, a fashion line inspired by the Filipino heritage its co-founders share—Alessandra grew up in Manila, while Louisa's mother is from Cebu. Three years and six full collections in, Mestiza New York is gaining momentum and its dresses are being snatched up by the world's leading department stores and online retailers. Today, the brand is at Neiman Marcus, Moda Operandi, Revolve, Lord & Taylor, and many more physical and virtual shops. Its official site even ships straight to the Philippines. To further acquaint readers with the up-and-coming global brand, read on to find out more about Alessandra and Louisa. What were you doing before you founded Mestiza? Alessandra Perez-Rubio: I had zero experience in fashion and was working as a graphic designer at Conde Nast. Louisa was more of an industry veteran working at two amazing fashion companies. We both moved [to New York] right after graduating from Washington University together. Can you describe your friendship? Louisa Rechter: It's past friendship at this point! We are like family. We see each other day in and day out, and we are constantly in touch after hours talking about all things Mestiza. We make life-changing decisions together, eat together, work out together—she's like my sister! APR: I agree with Lou! It can be scary to jump into business with a friend but I feel that we've been successful because of a few things. Lou and I definitely recognized in each other a mutual passion, drive, and ambition to build something impactful, we have a vision for the brand that has not wavered since day one, and we know that we bring different talent to the table. How did you learn the ropes of the industry? APR: I threw myself into it with a very contrarian and somewhat naive way of thinking about design. I still don't think about designing within the constraints someone with more experience might have and in some ways, it is a blessing and a curse. But every season it gets better and comes more naturally to me. What I've really learned is that designing a dress is easy, anyone with style can have the vision to create a pretty dress. It's designing a collection that consistently sells that is hard. I am far from an expert only having a total of six collections under my belt. That is a flicker compared to the brands we all love with longevity. So I am still learning the ropes, trial by fire every day, hopefully getting better. LR: I'm also still learning. What gave me an advantage was, in my past jobs, I had a hand in all facets of the company from managing open-to-buys to picking up slack at the warehouse. I learned the ins and outs of a retail company which prepared me to launch Mestiza with Alessandra. I didn't go to business school, so I'm still learning accounting, cash flow projections, all that fun stuff! 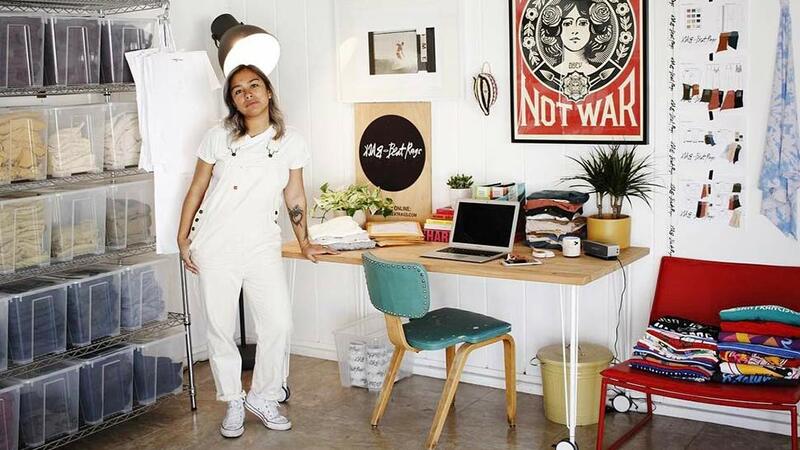 How is the Filipino identity incorporated into the brand? APR: I am originally from Manila—all my best friends are there, and my parents live there. I grew up seeing these beautiful vintage photographs of my grandmother and mother in the 1960s. The images painted a picture of this glamorous, tropical Philippine paradise and I just couldn't get it out of my head. These old photos have been the recurrent source of inspiration that fuels every Mestiza collection. Coincidentally, Louisa's mother grew up in Cebu, so when we launched Mestiza it was just as important and meaningful to her that we create a brand that pays homage our mothers' glamorous past, our own bicultural upbringing, and bringing it to life in the contemporary market. You must be very proud to have all these renowned retailers carrying your items. How did this happen and how do you feel about it? LR: We got our first big break with Neiman Marcus. Our lookbook magically floated into the top buyer's inbox. She had a last-minute cancellation in New York and made room to come and see our Spring 2017 collection. To our surprise, she loved it! We were thrilled to be carried by such a prestigious retailer in just our third season. We learned that by investing in ourselves and our abilities, we were able to attract more retailers. Our Spring 2018 collection was our next big break. We put a lot of our energy into developing beautiful yet commercial silhouettes and photographing the clothing in a romantic setting. Retailers loved our imagery, which I think helped sell it! It is extremely humbling and a lot of hard work. Which fashion icons do you look up to? LR: I love the vintage classics: Audrey Hepburn, Jackie O.
APR: Edie Sedgewick, Cher and, of course, Kate Moss. LR: Neiman Marcus, Revolve.com, and Shopbop.com are some of my favorite places to shop. I love new brands like Sarah Flint for shoes. APR: I am crushing hard on Mercedes Salazar earrings which I fell in love with when I visited Cartagena a few years ago and I can't live without my Castañer espadrilles especially in the summer. What are your dreams and future plans for Mestiza? APR: We hope to diversify Mestiza into different product categories: accessories, childrenswear, and bridal. We currently create two collections a year and plan to expand the line into the full six collections. Also, one day we would like to open our first experiential studio flagship here in New York City. We envision it to be a transformative retail space where we have the current season, but you can also be the first to pre-order from new collections, work with someone to customize a cocktail dress and ultimately have a luxurious shopping/getting ready experience for a night out without breaking the bank. At the moment we are a three-woman show, so in order to get there, we are going to need to expand our team and find to talent who will support our continued growth. Visit mestizanewyork.com and follow @mestiza_ny on Instagram.